QF 4 inch (102mm) Mark XVI Secondary Armament Breech. 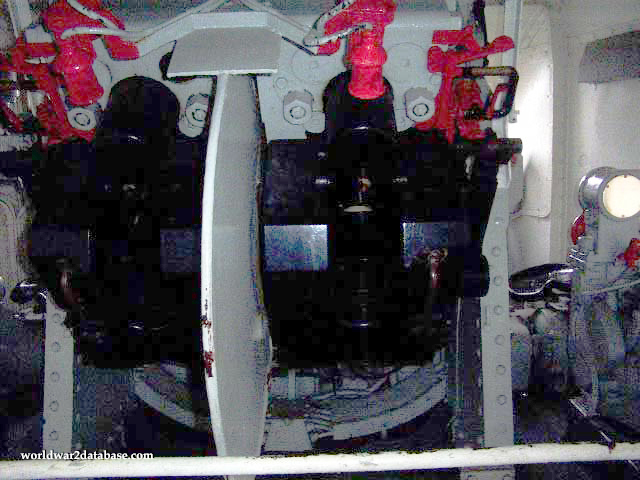 You can see how closely the guns are mounted in the twin Mark XIX open back turret. This allowed the guns to operate in a smaller space, with the breech block dropping down instead of sideways to allow the guns to operate without interfering with each other.